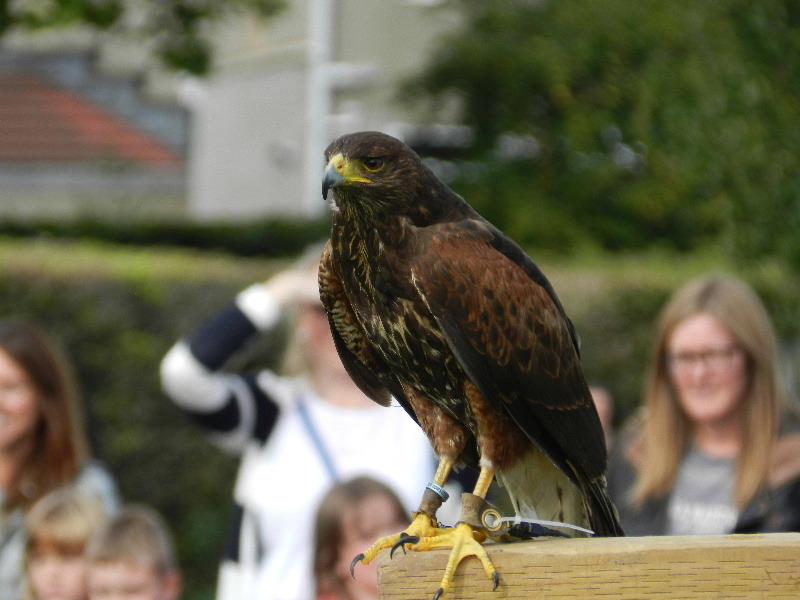 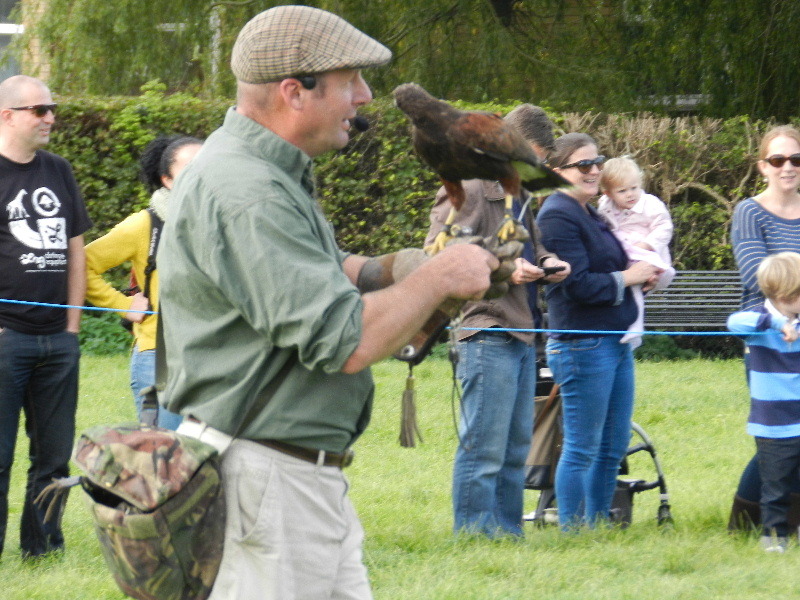 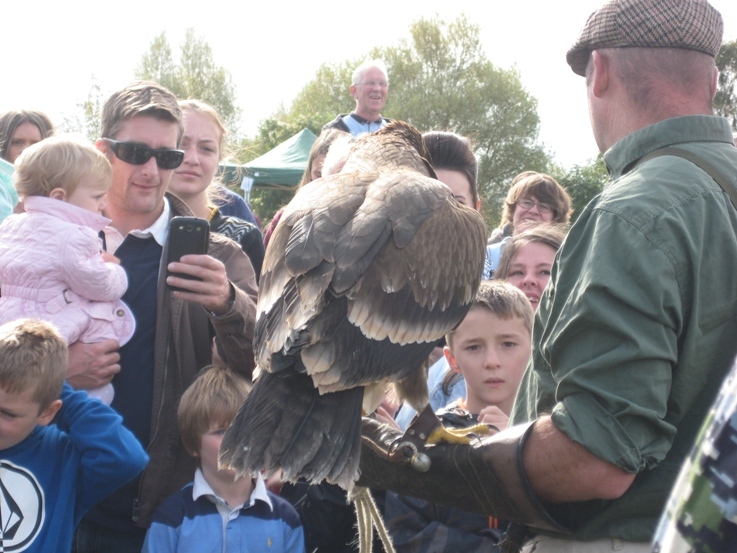 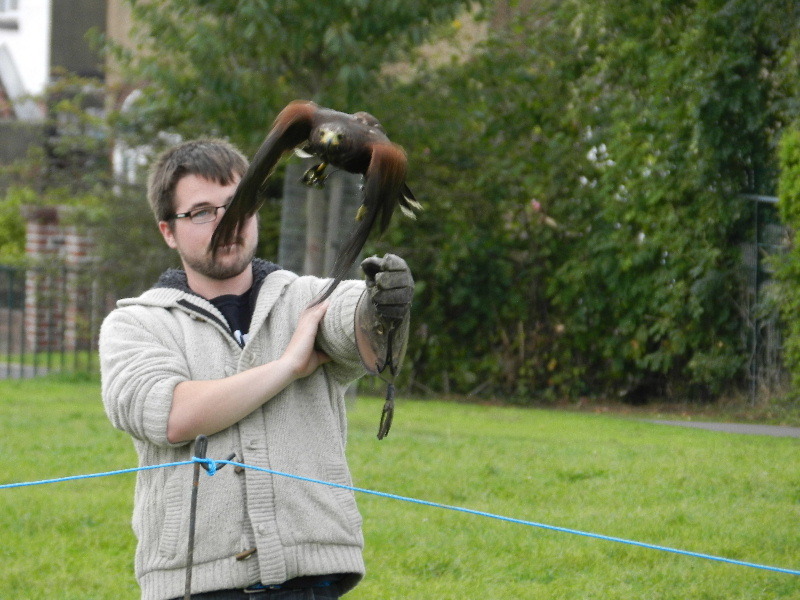 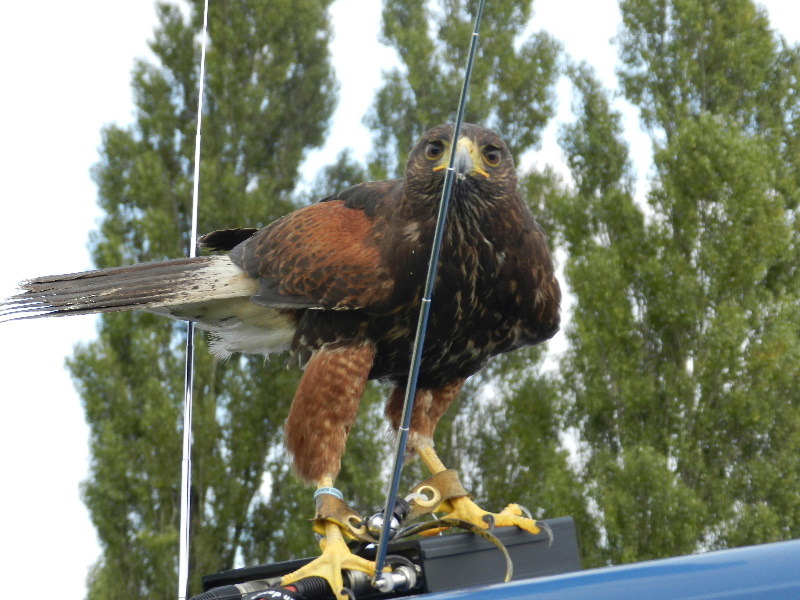 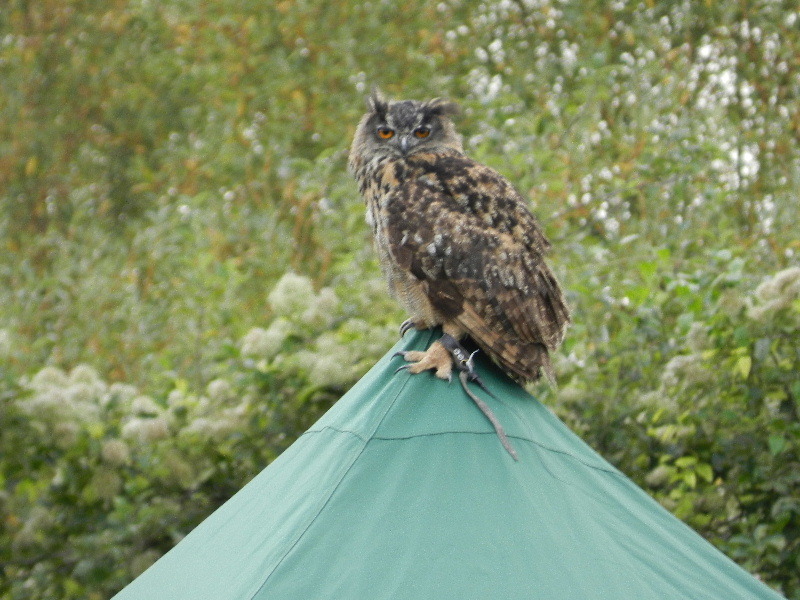 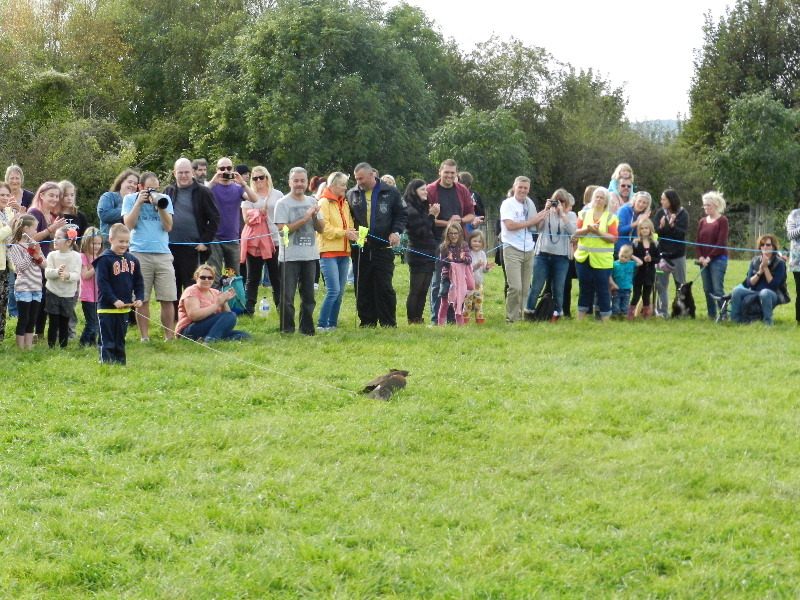 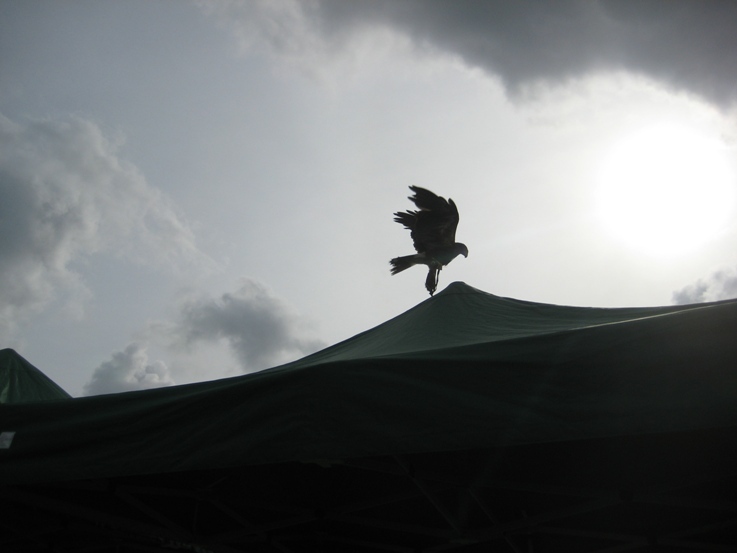 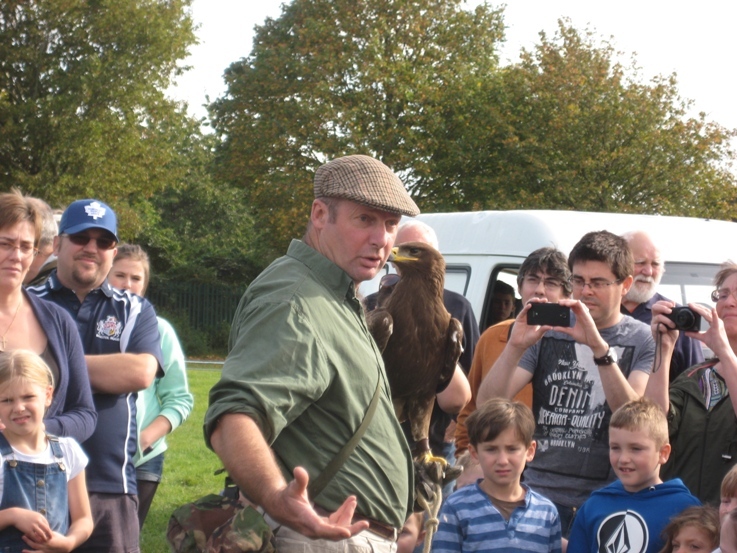 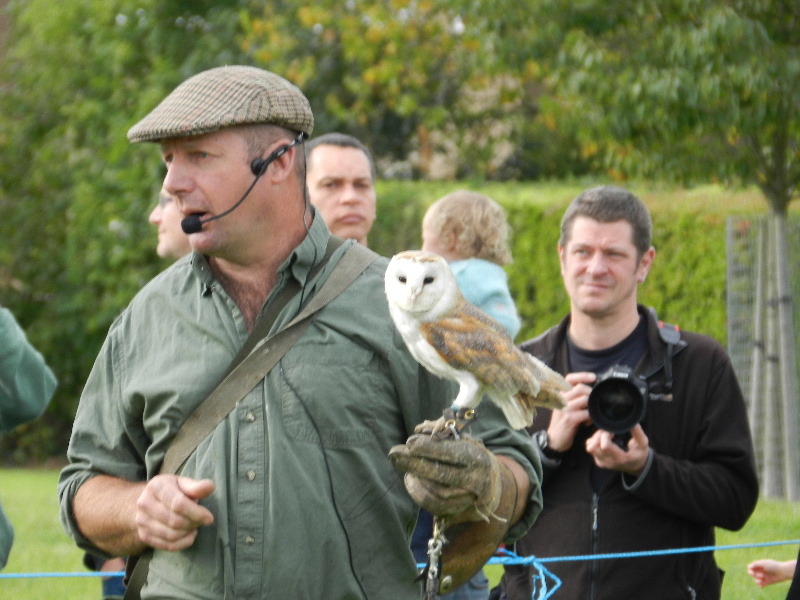 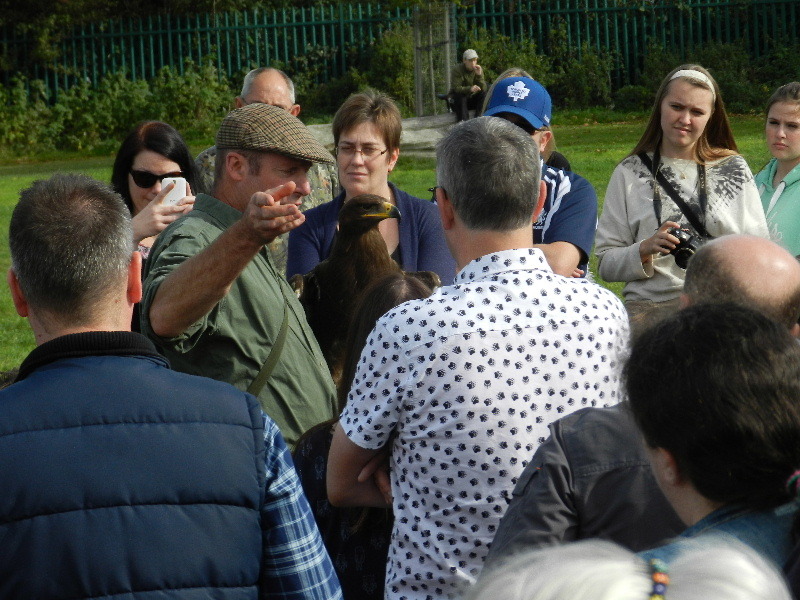 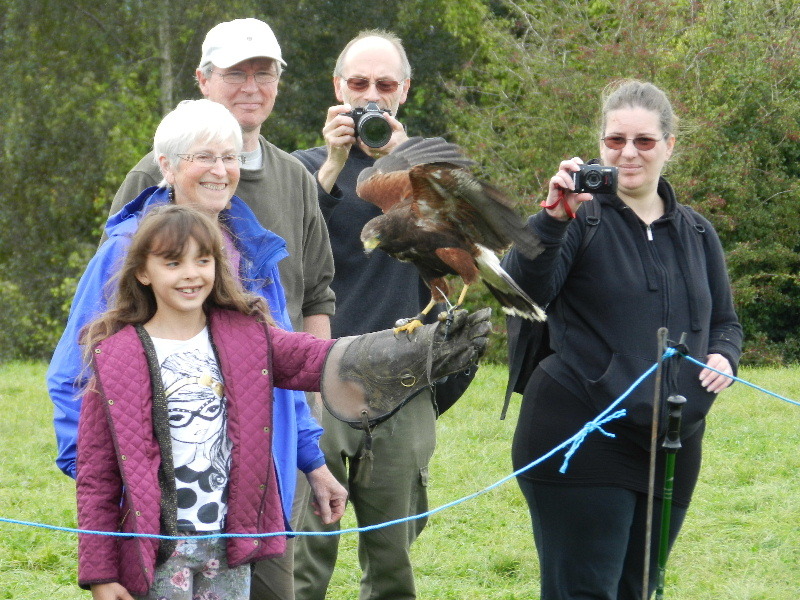 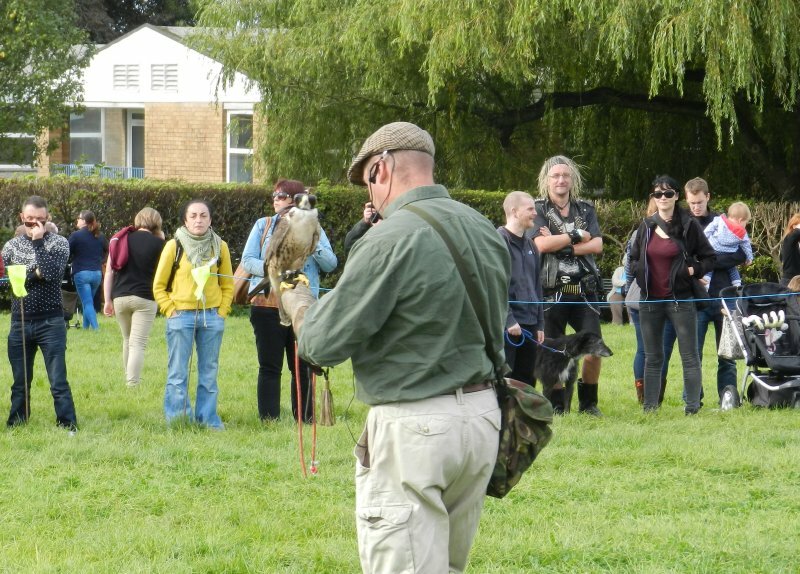 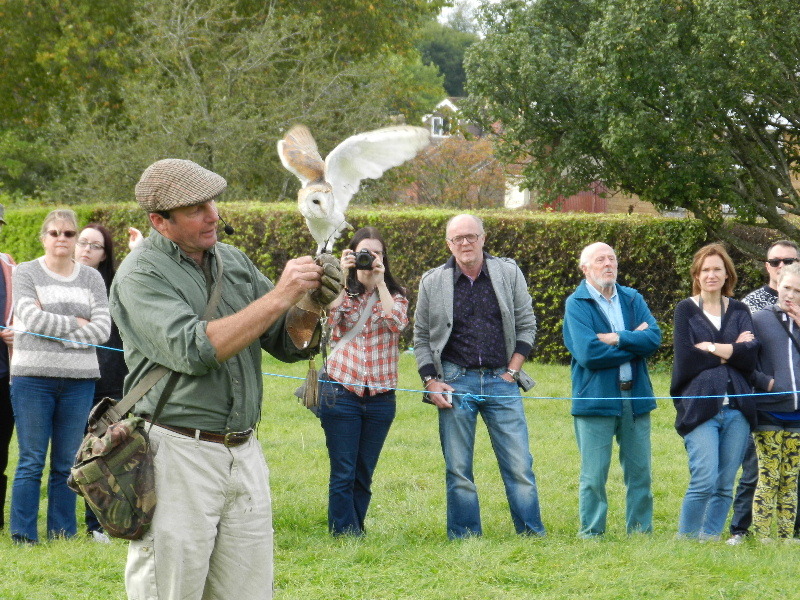 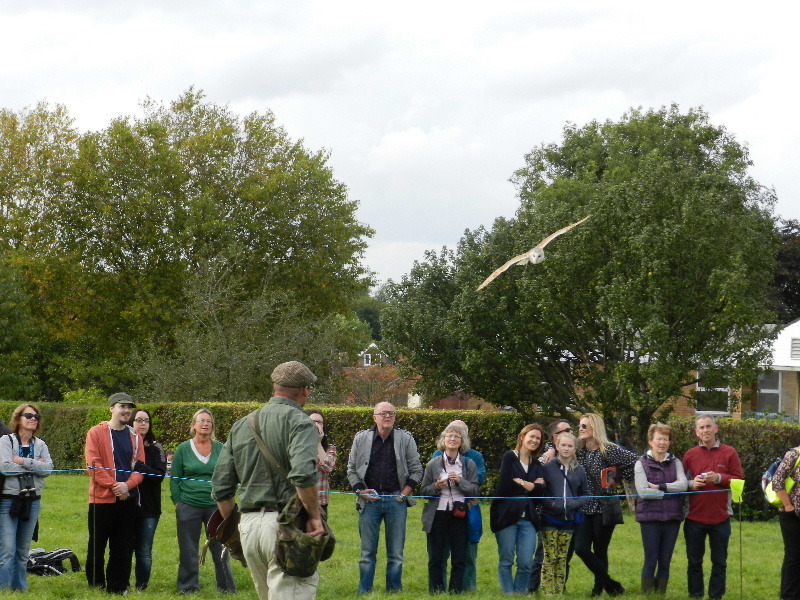 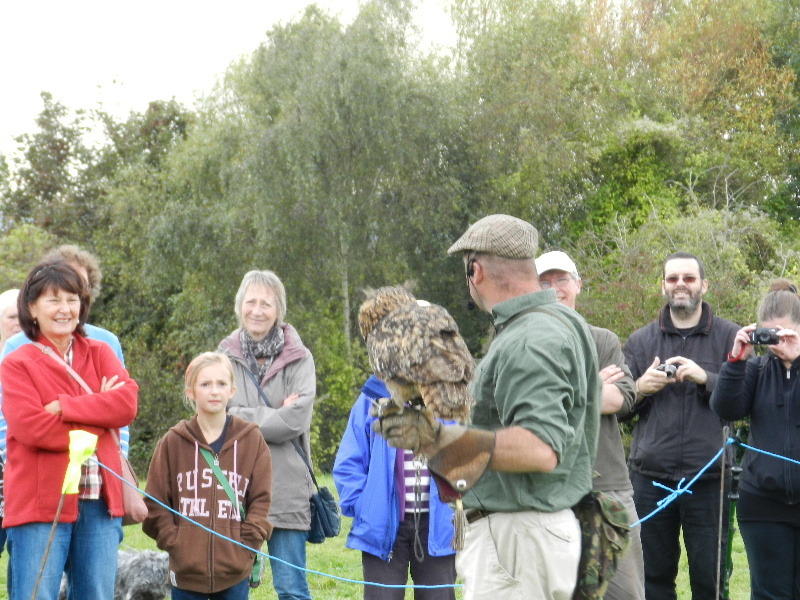 An 'awesome' afternoon with Westcountry Falconry who brought a variety of Raptors for us to meet. 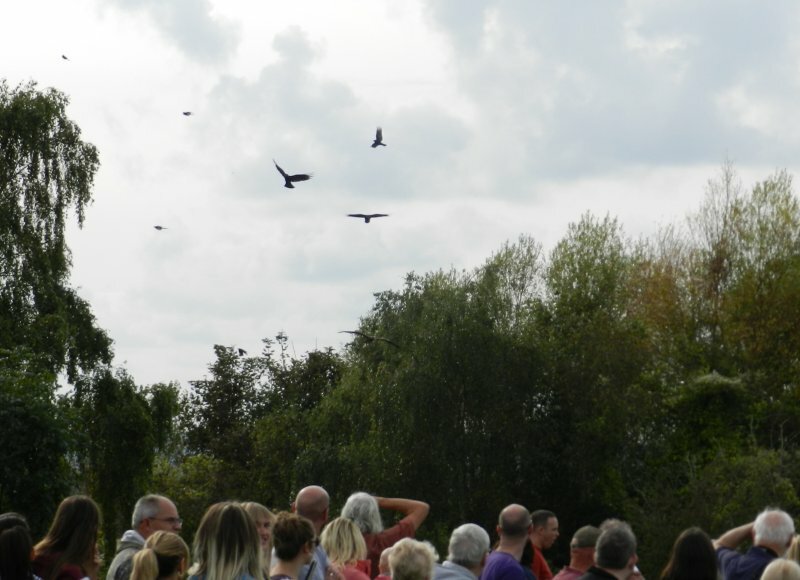 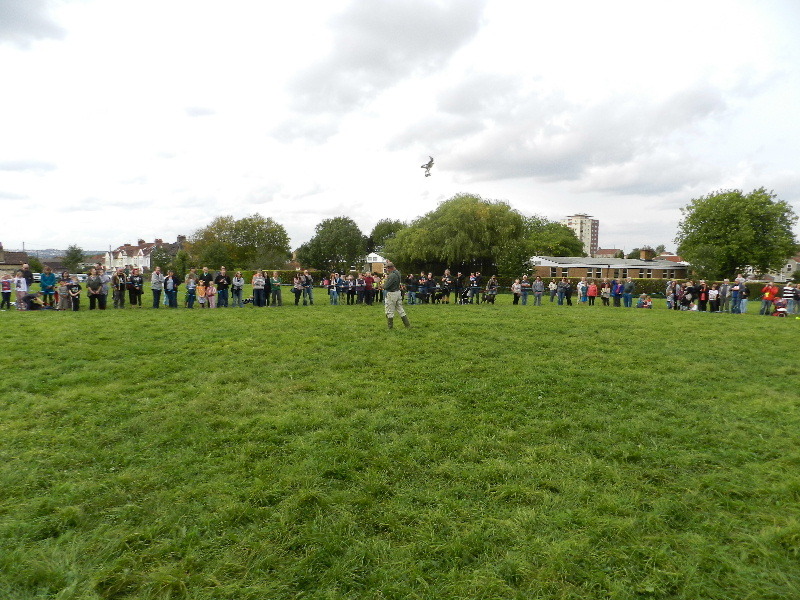 Stunning flying displays were accompanied by commentary explaining, amongst other things, how plants, herbivores and predators interact - often illustrated as "food chains or pyramids". 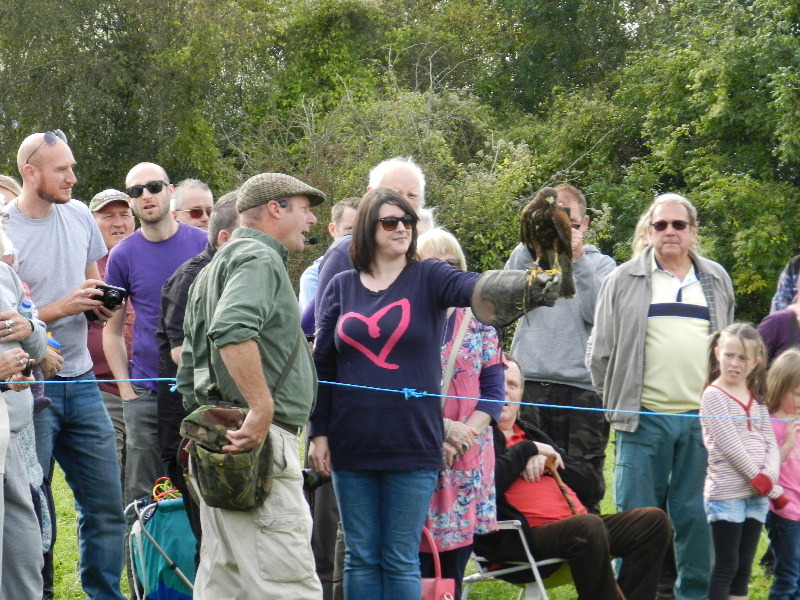 During the break between the two flying displays some of the birds were on display to allow people to get a closer look. 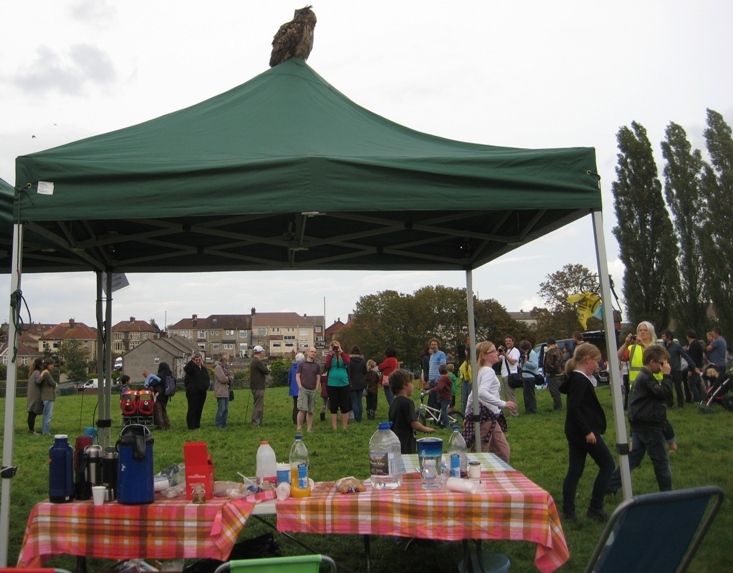 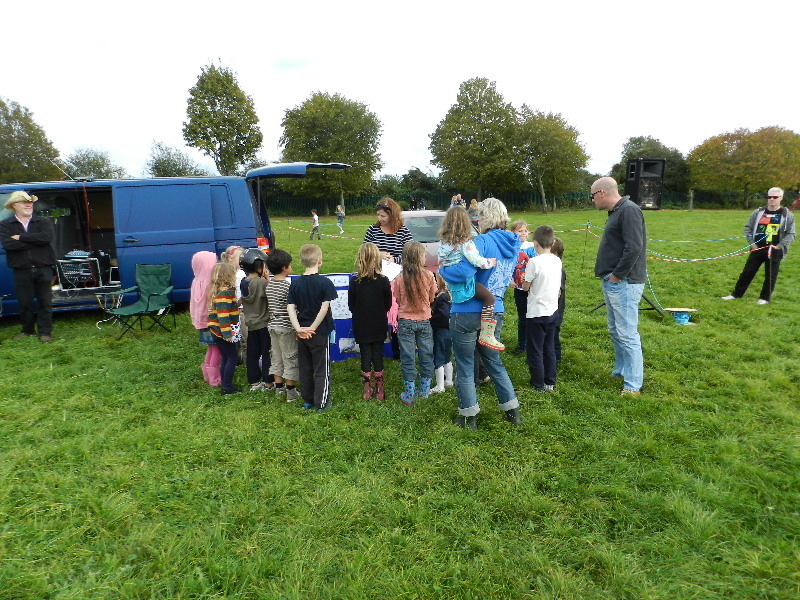 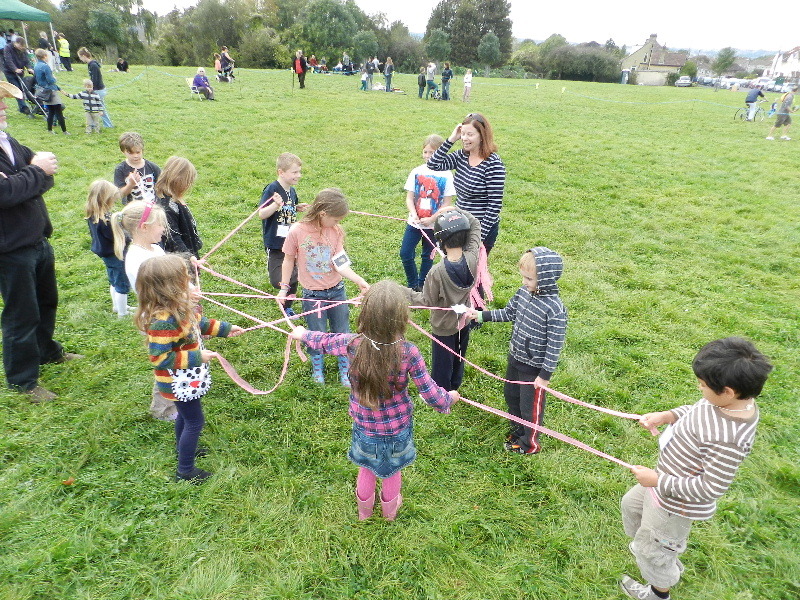 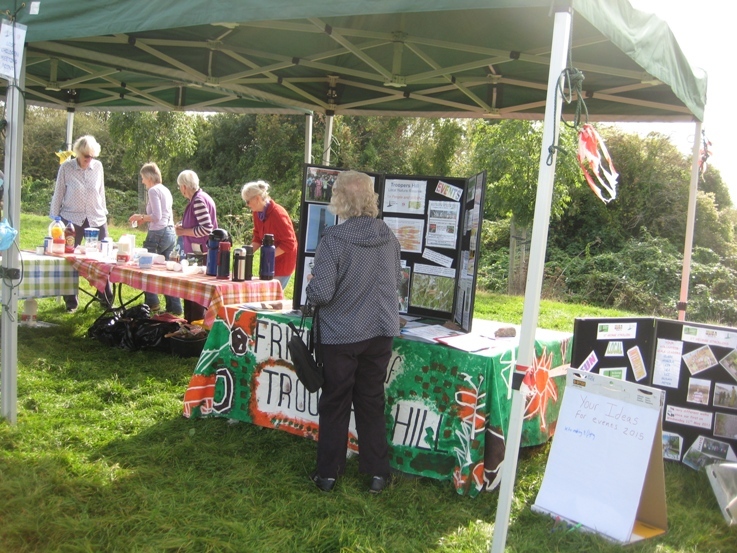 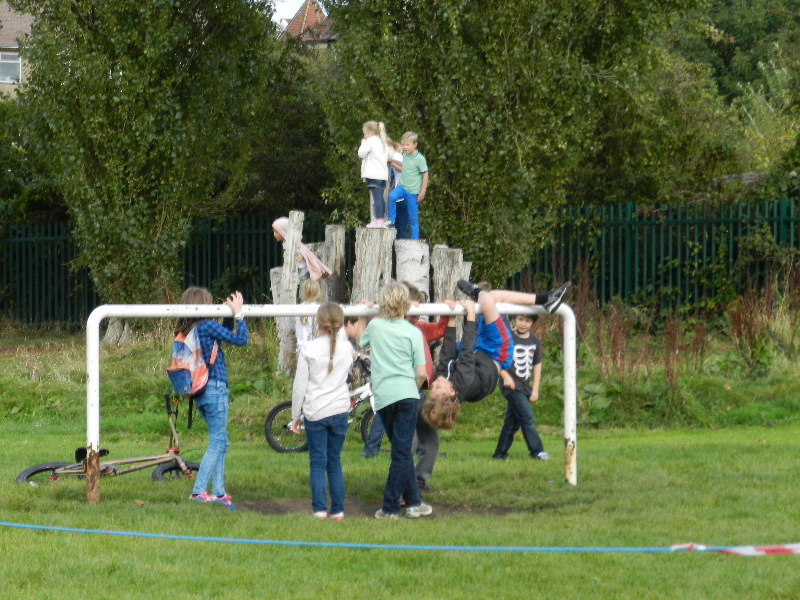 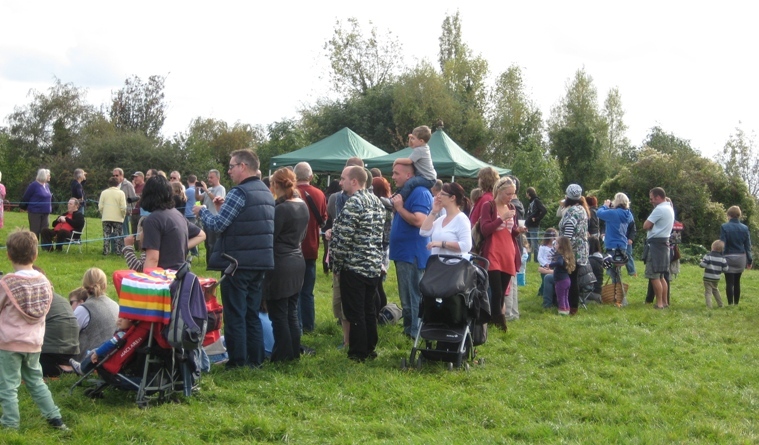 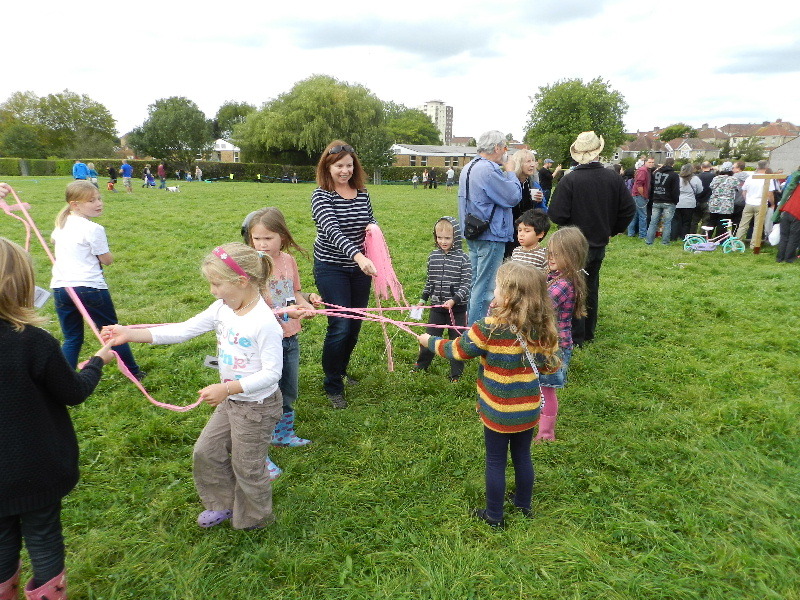 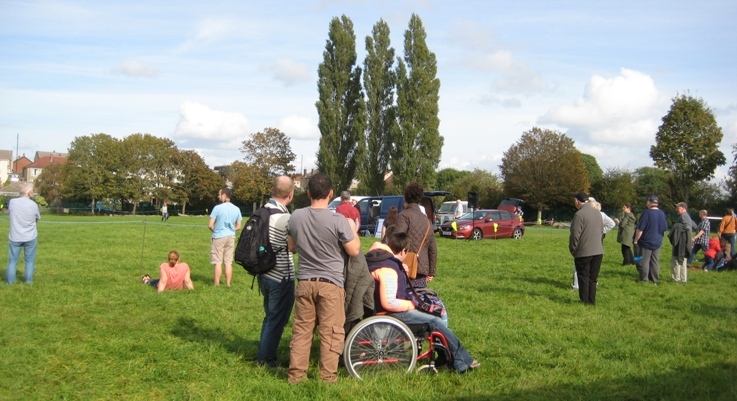 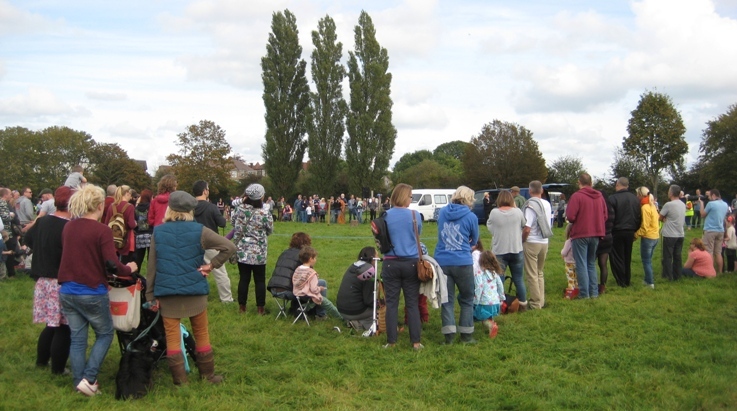 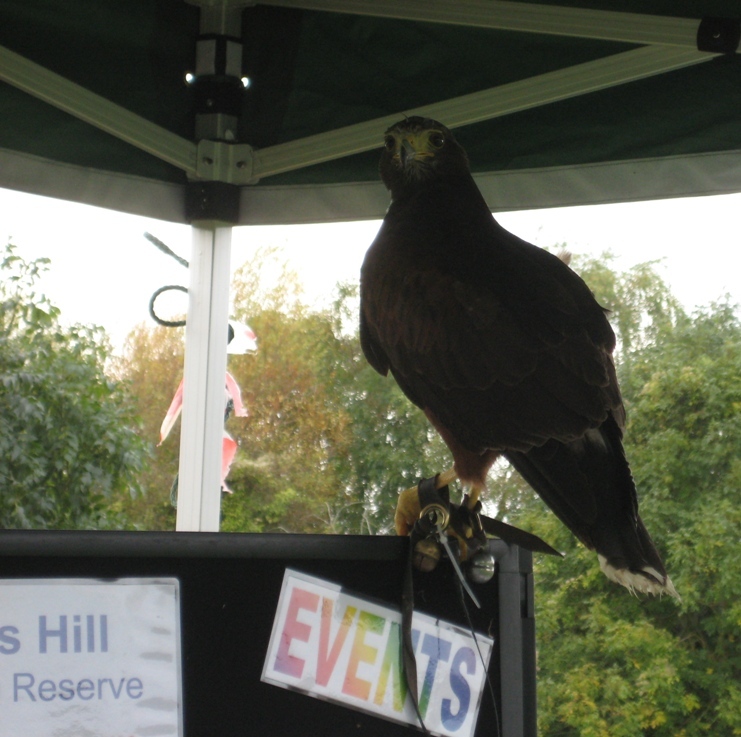 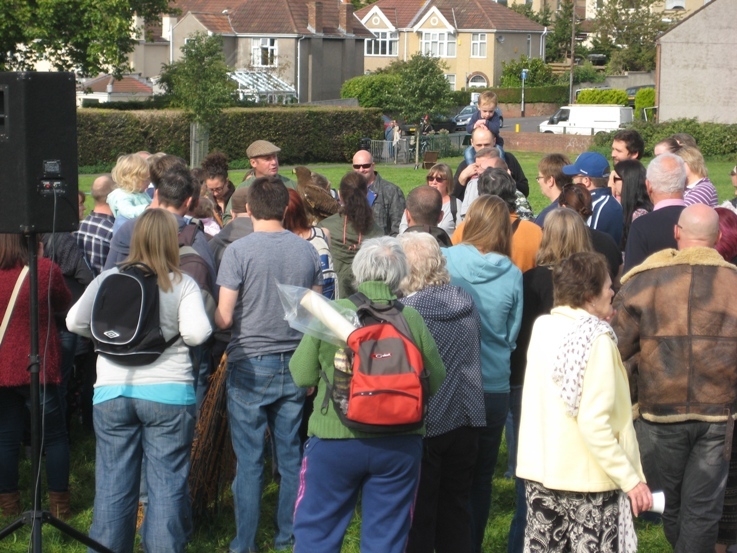 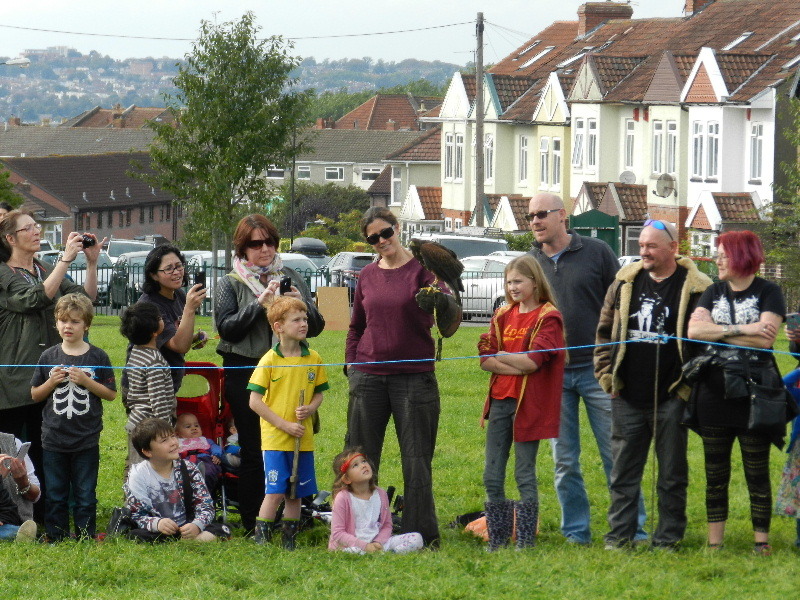 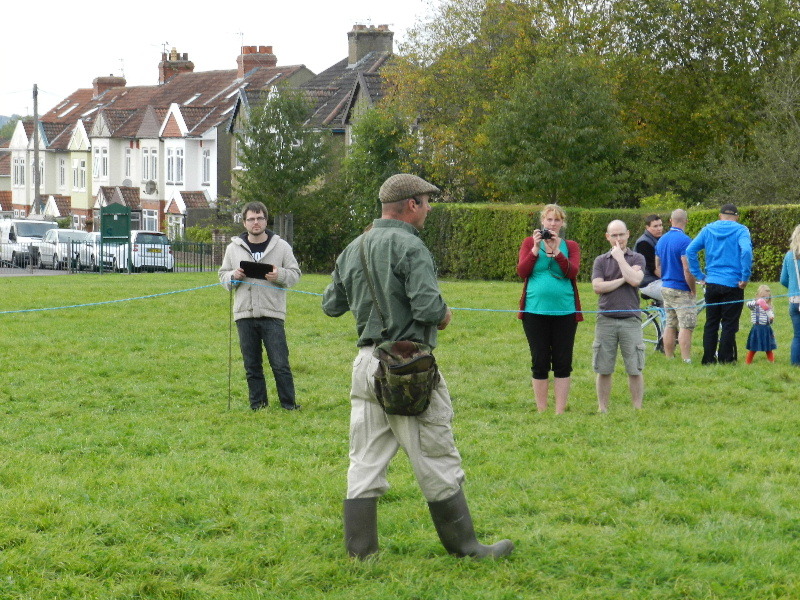 Paula Spiers was also with us getting our younger vistors putting together their own 'food web'; while thanks to our grant from the St George West Community First Panel which had funded the event, Friends of Troopers Hill were able to supply free tea & coffee and some other treats. 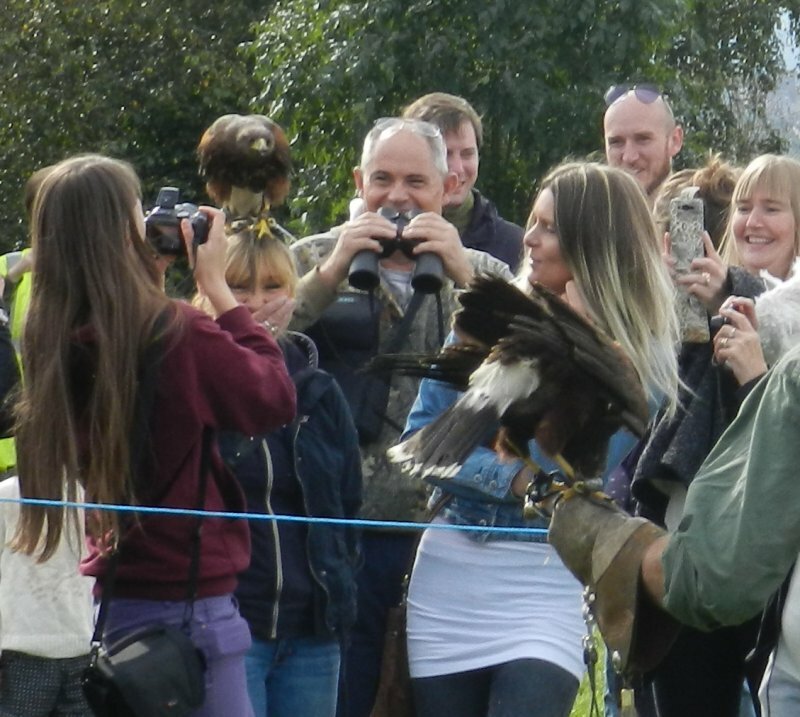 These are our photographs, but there are also some wonderful shots on our Facebook and Twitter feeds. 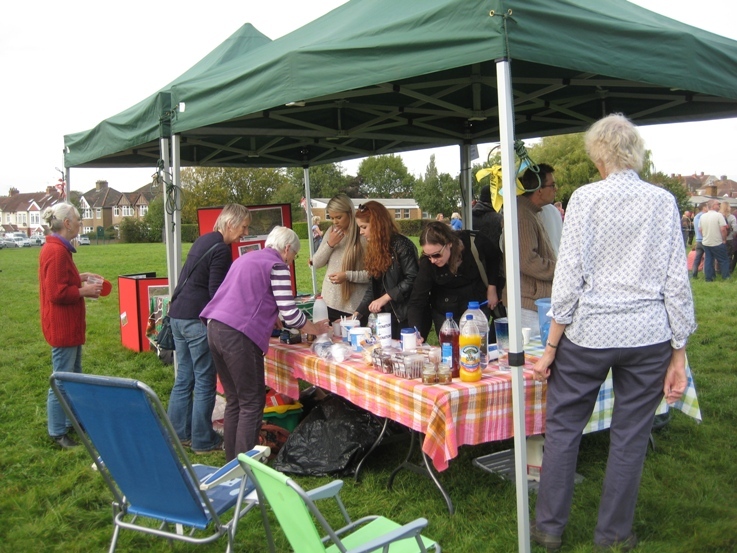 The Community First Neighbourhood Matched Fund programme is administered by the Community Development Foundation (CDF) for the Office for Civil Society.